Bennett hitches can be used with the standard hook, clevis drawbar or the ball and spoon system. 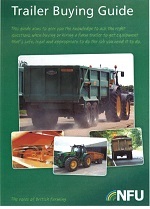 Is your trailer fit for purpose? Did you know the max legal vertical load on a hitch is 3t?